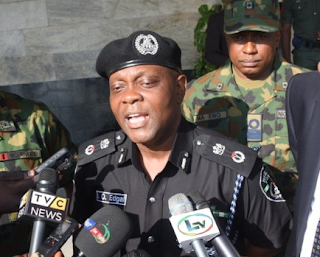 Lagos police command said it had arrested a lady identified as Gift Mike in connection with the death of her lover, Daniel Grant, a South African national, who she spent the night with. Grant, 50, was reportedly found dead in the early hours of Sunday at the Emerald Cove Hotel on Sinari Daranijo Street, Victoria Island. It was said that the deceased was found hanged in the toilet of the facility with his legs on the floor. Commenting on the incident, the police commissioner said the posture of the deceased and other evidence clues at the scene suggested that he was murdered. He said the case had been transferred from the Maroko Police Division, where it was initially reported, to the State Criminal Investigation and Intelligence Department, Yaba, for further investigations. The CP said, “The complainant, one Abu Ismail, the manager of the Emerald Cove Hotel, reported that one of their guests was found hanged in his room. “He stated that on Saturday, May 5, the deceased, a South African national, and his girlfriend, Gift Mike, checked into the hotel. On the same day, the two lovebirds left the hotel to Pat Bar, Victoria Island, on a drinking spree and returned to the hotel around 1.30pm before they retired to bed. “Around 1.30am, the girlfriend, Gift Mike, woke up and found the deceased missing on the bed. She later found him in the toilet hanged in a vertical position and raised the alarm, which attracted the attention of the deceased’s friend, Piyush Srivatsatav, an Indian national, and some staff members of the hotel. The corpse was said to have been deposited in the Lagos Island General Hospital’s morgue for autopsy.